Dr. Davidson uses the most current techniques to repair, reconstruct and resurface damaged shoulders as needed. Patients come to Dr. Davidson for treatment of a wide variety of shoulder concerns. Keeping You Strong At Every Stage Of Life. Rotator Cuff (and other tendon) Repairs. Using arthroscopic, and as needed open surgical methods, Dr. Davidson uses the most up to date surgical technique and implants to repair damaged shoulder tendons. Shoulder instability and Labral Tears (including SLAP tears): Dr. Davidson regularly employs the most current technique and equipment to repair and restore damaged shoulder tissues. Shoulder Resurfacing. 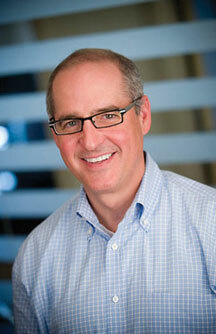 Dr. Davidson has been a pioneer in developing and advancing the field of shoulder resurfacing. He has taught extensively and published on this topic. Many patients with “worn out” shoulders can be successfully treated with resurfacing. This is less invasive than Total Shoulder Replacement and allows a return to activity without restriction. Acromioclavicular Joint Injury (shoulder separation). Dr. Davidson uses the most innovative methods and implants to safely and effectively restore the AC joint. Pick Up Right Where You Left Off! Meet Dr. Davidson! Get An Accurate Diagnosis & Comprehensive Treatment Plan. Dr. Davidson has proudly served as a trusted expert and authority in orthopedic injuries for both the NFL and MLB. In addition, Dr. Davidson has published many important articles on advancements in modern orthopedic techniques and treatments and continues to be a leader in the field of joint resurfacing and cartilage restoration. Have You Had Previous Treatment? Have You Had Previous Treatment?No Previous TreatmentsYes, but not sustainable/successful.Yes, I'm looking for a new doctor. Dr. Davidson is a nationally recognized physician specializing in Cartilage Restoration, Joint Resurfacing and Sports Injuries.